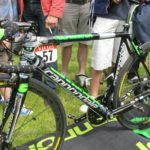 US based bicycle company Cannondale supplies bikes to the world-tour team Liquigas-Cannondale. 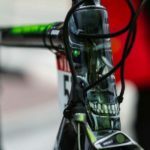 For Peter Sagan, they have pulled out the stops with an impressive rendition of the Terminator (the cyborg assassin played by Arnold Schwarzenegger in the classic 1984 science-fiction film) across the front of the team’s SuperSix Evo Hi-Mod. 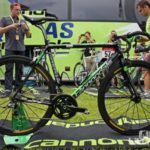 Despite Tour de France is a race where the very latest products are usually raced, the Liquigas-Cannondale team were on the current Evo, not the new and lighter Evo Nano. The new Evo Nano cuts about 40 grams using an improved carbon-fiber layup. But why the Terminator? Peter Sagan won an incredible five stages, the first four stages in-a-row, in the Tour of California 2012 edition. 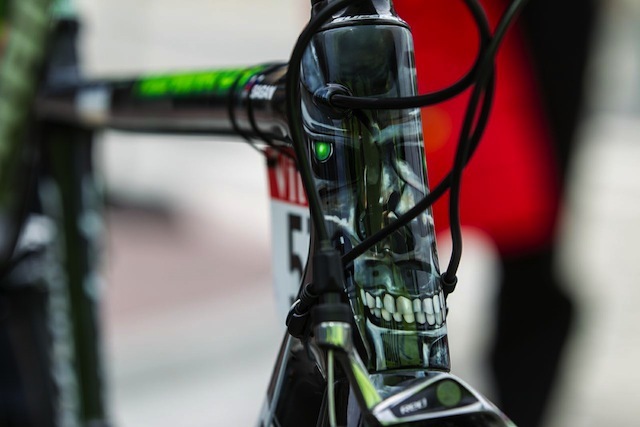 So the Cannondale Factory Racing Team gave him the nickname “Terminator” as a result of his power and strength. 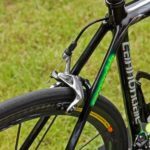 This success led to a bet between Peter Sagan and Rory Mason (Cannondale’s Sports marketing director): “If Sagan wins another stage, the Terminator bike would be waiting for him”. 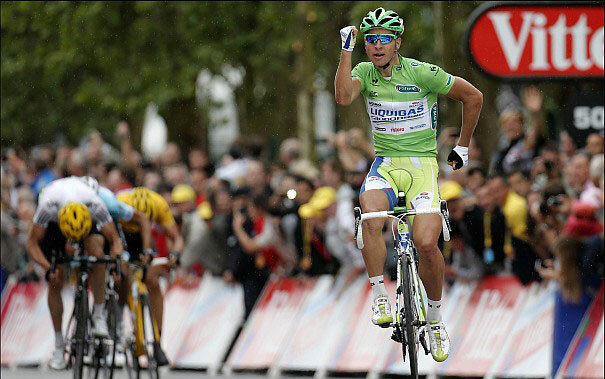 All he had to do was win a stage at the Tour de France to claim it, and he successfully did with a fearless finish on the first stage, and also in his first ever Tour de France stage. The Slovakian rode the rest of the Tour on his very personalized Cannondale “tourminator”. 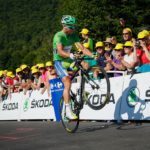 He won another two stages (Stage 3 with “Forrest Gump” style and Stage 6, “Hulk” style) with his “tourminator”, and won the green jersey after all. Peter Sagan is winning the 3rd stage of Tour the France with “Forrest Gump” style. 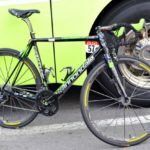 Peter Sagan is winning the 6th stage of Tour the France with “Hulk” style, on his Cannondale SuperSix Evo, the “Tourminator”. 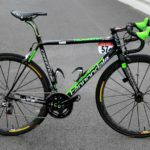 Sagan’s frame uses the same components as his Liquigas team mates: a full SRAM Red groupset with Cannondale’s ultra light Hollowgram Si SL chainset, Mavic Cosmic Carbone Ultimate wheels, Speedplay pedals, a Fizik Aliante saddle and FSA cockpit. Reported weight is 6.8kg. 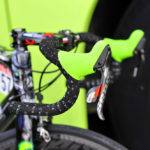 The SRAM hoods have been color matched with the frame. The head tube of the “Tourminator”. The head tube of the “Tourminator”, from another angle. 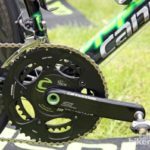 Peter Sagan is winning the 3rd stage of Tour the France with “Forrest Gump” style, on his Cannondale SuperSix Evo, the “Tourminator”.